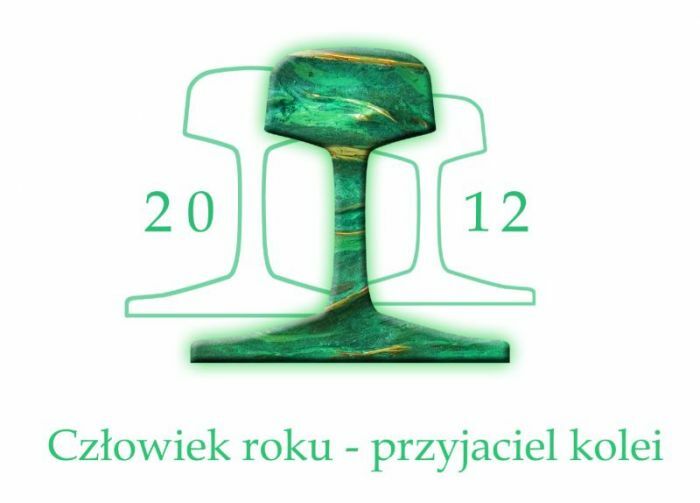 Nearly a year ago we informed about the beginning of assembling the railway communication exhibition. After renovation of two rooms, finalized with laying a new linoleum in January 2016, we installed the complete set of racks for carrier telephony. 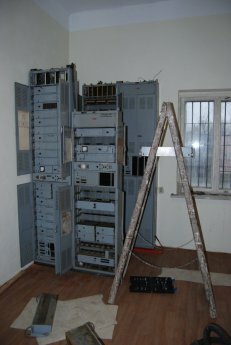 During the course of couple of weekends, racks were moved to their target place and bolted to the floor and walls (only temporarily, before the overhead cable mounts will be ready). For the time of transportation, racks had to be emptied of all heavy parts and then reassembled on place. 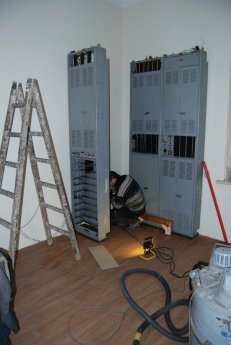 After finishing the works by the racks, we could move on its place a manual switchboard originating from Skierniewice’s railway exchange (produced by Tesla-Kolin, 1951). The switchboard is still awaiting a clean-up and wiring overhaul before it will be connected to the main Siemens exchange which will be placed in the next room. This is not the only switchboard in our collection. 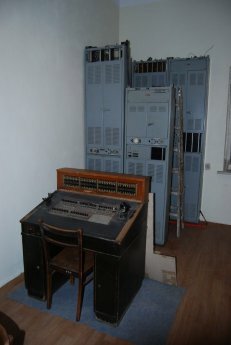 On the planned general exhibition two more examples will be found: similar, but German-built switchboard from 1942 (prod. Siemens & Halske) and a miniature switchboard intended to work with a small KATS exchanges (up to 100 numbers, prod. Tesla-Kolin, 1953). Both switchboards comes from various exchanges in Central Railway District.